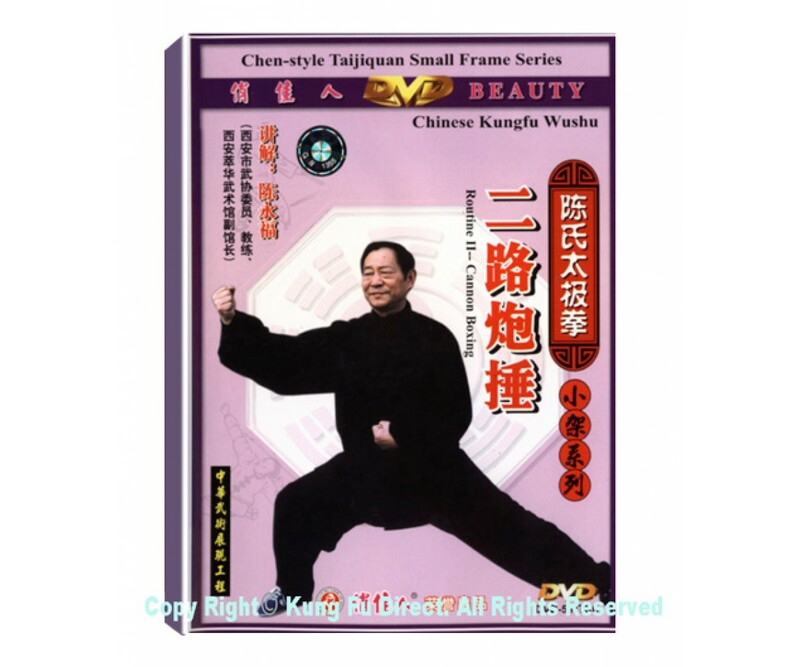 2DVDsChen Style Tai Chi Small Frame Routine II is also called as “Pao Chui (Cannon Hammer).” In order to learn Chen Style Tai Chi Small Frame Routine II, one should first master Chen Style Tai Chi Small Frame Routine I. break through the stage of ridding stiffness and seeking softness to reach the situation of the whole body following, one move of the whole body causing all moves, the combination of the inside and the outside, the full strength, the harmony of breath and movements. Only at this time is there no warp in learning routine II. Otherwise, there is no elasticity so that during exercise, we fall into the situation where the whole body is stiff with the upper heavy and the lower unstable, gas fills the chest, the heart beats too fast, the breath wheezes, lips turns green and face turns white. This is bad for the body strengthening and Kungfu exercising. 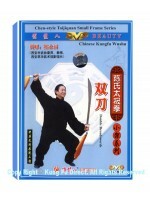 Language: Chinese Mandarin with English Subtitle.